Bridport The hut is in the centre of Powerstock, opposite the telephone kiosk and through the school playground, which functions as the car park. From Dorchester follow the A35 towards Bridport. At the roundabout turn right towards Beaminster on the A3066. At the roundabout just after the Sir John Colfox School turn right towards West Milton and Powerstock. Powerstock is over a mile after West Milton bridge. Turn left at the junction signposted Powerstock. 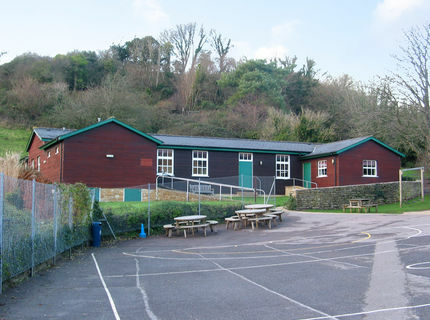 The school and Hut are on your left as you go up the hill.